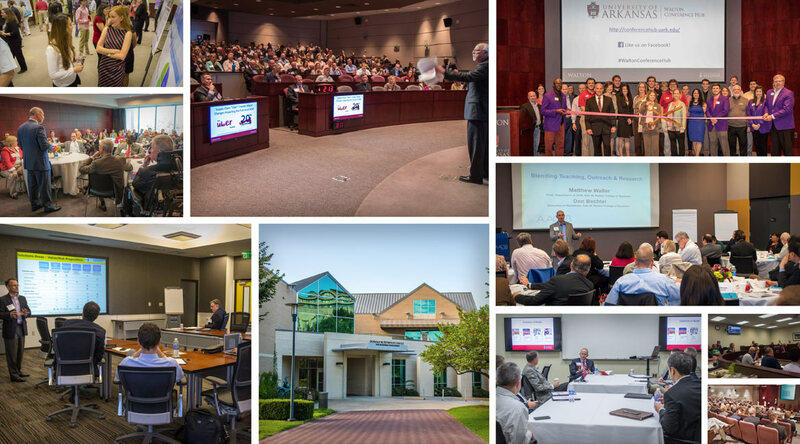 Located on the beautiful, historic campus of the University of Arkansas and in the heart of downtown Fayetteville, our facilities offer small and large meeting rooms, breakout rooms, private boardrooms, a large auditorium and banquet rooms. Whether you are looking for large meeting space or an intimate board meeting, the Walton Conference Hub has the space to suit your needs. Let us help you begin your event planning. Find answers to common questions like: What are the options for food? Is there technology support for multimedia? What about parking? 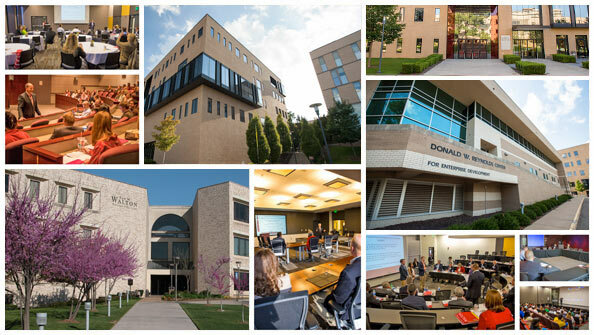 When organizations choose Northwest Arkansas as the location for their events, they understand the attraction of Fayetteville and the surrounding region. Learn more. Please contact us to inquire about reserving our facilities for your next event. For your convenience, existing clients and university clients may request space online through our event reservation system.